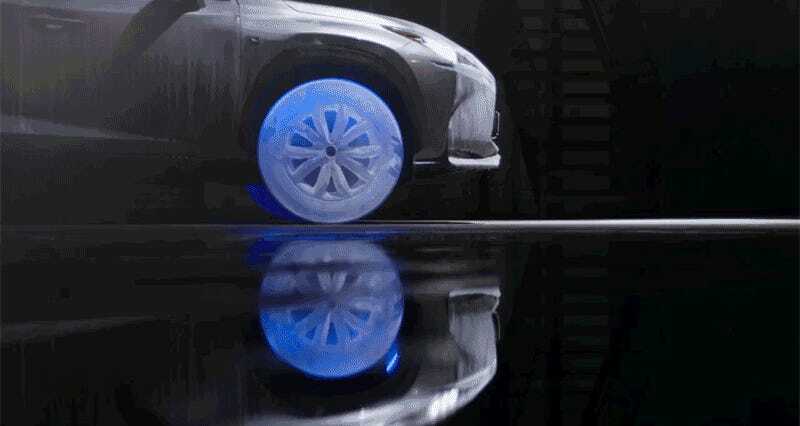 It’s probably not a feature a lot of customers are demanding, but Lexus spent three months working with a team of ice sculptors to recreate the NX’s tires and rims using nothing but ice. Not only do they look perfect, the ice wheels are also strong enough to support the vehicle without shattering. Before attempting to drive on the frosty wheels, the Lexus NX itself was left in a freezing chamber for five full days at a temperature of -22 degrees Fahrenheit. It left the SUV covered in a layer of ice, but probably also helped ensure the vehicle was cold enough to keep the ice tires and rims frozen once attached. There’s little practicality to the stunt, besides helping Lexus sell more cars. The tires would have surely had zero traction, and even the slightest bump could shatter them. That said, tossing a giant ice mold in your freezer every time you needed to replace a flatwould certainly be more economical than a trip to the dealer.